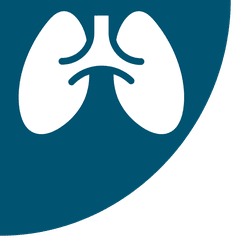 Last month, OSHA issued a memorandum to clarify the agency’s enforcement policy for developing citations for respiratory hazards from exposure to air contaminants that are not covered by permissible exposure limits. According to OSHA, the following elements must be established in order for the agency to prove a violation of the general duty clause, Section 5(a)(1) of the Occupational Safety and Health Act: the employer failed to keep the workplace free of a hazard to which employees of that employer were exposed; the hazard was recognized; the hazard was causing or was likely to cause death or serious physical harm; and there was a feasible and useful method to correct the hazard. OSHA’s memo states that when these elements are applied to respiratory hazards, general duty clause citations should not be “based solely on evidence that a measured exposure exceeded a recommended occupational exposure limit.” Citations should also not be based on the fact that there is a documented exposure to a recognized carcinogen. In cases where evidence does not prove all four of the previously mentioned elements, the memo directs OSHA area offices to issue a hazard alert letter, or HAL, rather than a citation. HALs advise employers of workers’ exposure to a potentially serious respiratory hazard from a chemical that exceeded an OEL and provide suggestions for recommended exposure controls. The new memo also provides additional guidance for developing evidence for each of the four elements when specifically applied to respiratory hazards. View the full text of the memo on OSHA’s website.